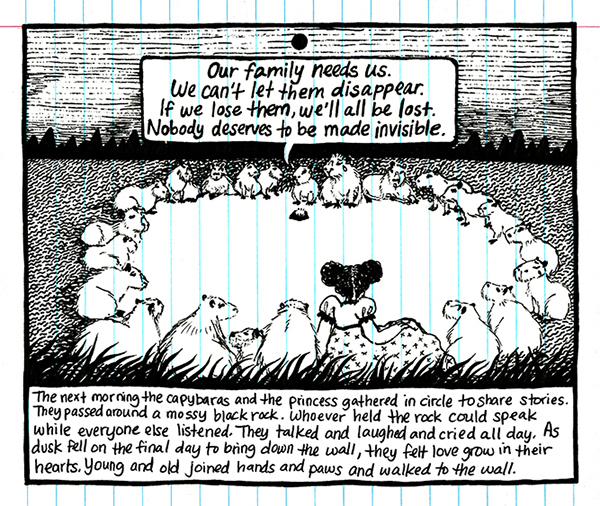 This comic was created with support from Project NIA and a grant from 96 Acres to help people understand the importance of talking to children about incarceration, to understand the walls we build between ourselves, and the importance of being able to travel between your inner and outer worlds at will and share what you have learned. 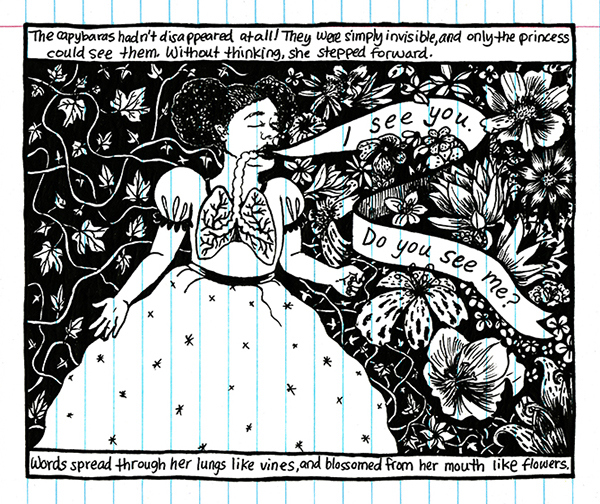 This comic was distributed for free at workshops throughout Chicago and at the Cook County Jail. 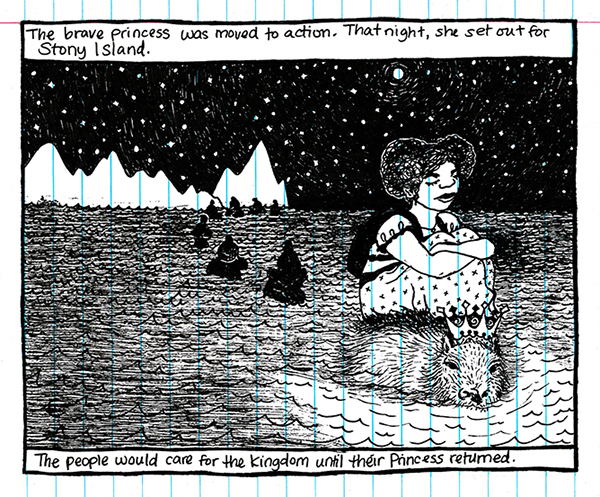 There once lived a princess who loved to tell stories. 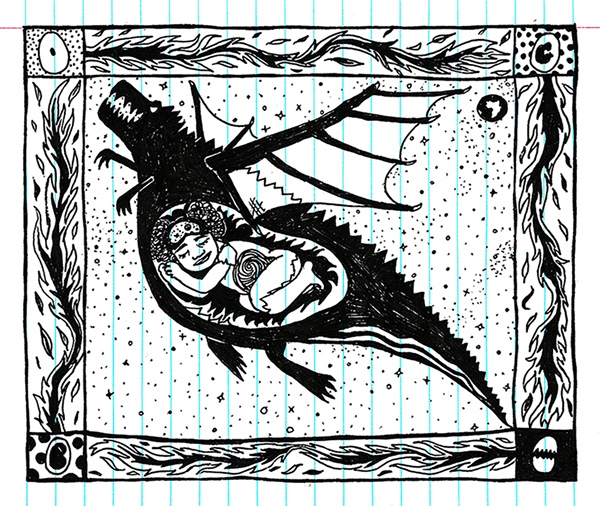 One day a dragon swallowed her whole and she got trapped in his belly. Unable to speak and share her stories, she falls into a deep sleep. In her dream world, she must help the citizens of Stony Island reunite after a prison-like wall has separated and rendered them invisible to each other. Through her struggles she remembers the world of reality that she once belonged to, and she knows now that to awaken she must reunite her dream world with her waking reality. This is a story about the importance of being able to travel in and out of yourself and share your stories, your pain and your joys, at will, in order to save yourself and those around you from the dangers of isolation and abandonment.